Pace Engineering has the CNC capacity of turning parts to 30” in diameter and 18’ long. 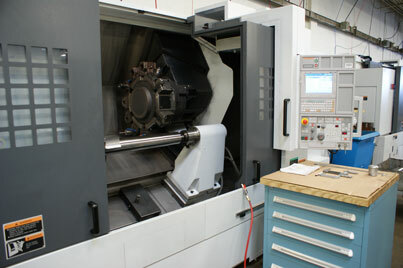 With more than 40 CNC lathes, Pace Engineering has a wide variety of unique turn capabilities. These capabilities include two, three and four axis lathes with spindle bores to 6.75 inches, eccentric chucks, roll threading to 1-1/2” and sub spindles. Special micro finishes are obtained through ID and OD roller burnishing that can routinely hold .0005” tolerance. The turning cells are arranged in groups of three machines to maximize the utilization of labor. Facing and centering machines compliment a number of turning cells that eliminate one turning operation.